This is a great app to use when traveling or even around your home area. 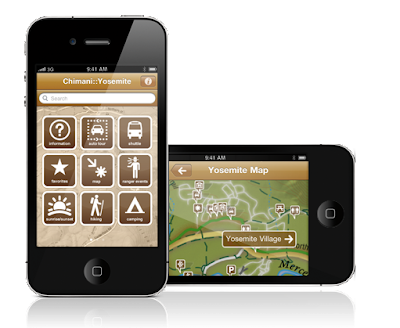 Chimani not only helps you find National Parks, Parkways, Historic Sites and National Seashores, it can direct you to Battlefields as well. That might come in very handy on a genealogical research trip! Chimani is more than just a map though, it provides information, photos and links directly to the locations website, if they have one. You can also mark the areas you have visited with the date. I found this app a little over a year ago and love it.